With so few jobs available during the “Great Recession”, and so many people out of work, a large number of U.S. workers were holding on for dear life to the jobs they had – even if they were miserable. For many, the last few years have been filled with a constant refrain: “I should be glad to have a job! It would be crazy to leave a perfectly good paycheck unless I have another one already lined up.” The thing that has kept many of us firmly rooted in our jobs isn’t the traditional lure of an employer pension, 401(k), or other long-term incentives. It’s the idea that we should stay in a job because otherwise we’ll end up on the street. But now that things seem to be improving and more jobs are available, people who despise their work might be more inclined to do something about it. And that’s not a bad thing at all. Remember: if you’re staying where you are only because you think it’s the safe move, you just might be doing the least safe and most damaging thing for your life and your career. Do a quick self-assessment. Ask yourself: Why do I hate my present job? Is this a new feeling or have I always disliked it? Is it the people I’m working with, the tasks I’m asked to do, the culture of the company? Determine if there are ways to modify your situation while staying at the organization or whether it’s time to move on. Figure out if it’s you or the job you’re unhappy with. Once you do a self-assessment, it’s important to determine whether the things you’re unhappy with have to do with you, or the job. This will help you figure out if changing jobs is the right move. If you discover in advance that the stress is caused by things outside of your work life, you can avoid leaving a perfectly good job for the wrong reason or suffering the same problems in your next role. Talk to your supervisor. If you’re not happy with your schedule, your compensation, or the projects you’re assigned to, you should tell your boss. There could be ways to improve the situation and it might be much easier than you think. Don’t quit immediately. If you have a job that provides decent compensation and that isn’t unbearable, then consider staying put for right now. If you were injured on the job by a vehicle then contact a work related vehicle accident lawyer Oakland to help you file a case. Remember that the grass is not always greener on the other side. Before you run from your current job, or decide to change or transition to another field, do the research and preparation necessary so you will be educated and qualified. Change your attitude. Maybe you had one bad experience at work that left a sour taste in your mouth. If so, try to let it go. Maintain a positive attitude and focus on the aspects of your job that you enjoy. If you can’t find one, it might be time to consider moving on. Be professional. Even if you plan to quit, keep doing your job well. That way, when you decide to leave, you will have good recommendations. And if your situation improves and you decide to stay, you won’t be embarrassed about your behavior. Never burn bridges. Don’t take it out on others. Don’t treat your clients or colleagues poorly just because you’re miserable in your job; and refrain from gossiping and complaining to them. It’s generally all right to discuss with colleagues your discontent to a certain degree, but be careful not to cross the line. Set career goals. Figure out where you want to be in five years. Will your current role help you get there? If not, what would? And how can you move toward that? If you know what you want to accomplish and where you want to be, it may put things into perspective for you. Don’t discount possibilities. Quick question: How closely does your college major relate to your current job? For most people, not very. And it’s the same as you progress through the business world — for most of us, it’s a nonlinear path. For that reason, the last thing you want to do is eliminate any possibilities right off the bat when you start investigating new career opportunities. Go all in. Once you’ve decided that it’s time to leave and where you’re going, leap with both feet. Of course, you should never make a leap without a financial safety net, but what I’m talking about is the need to mentally prepare for the transition: from accepting your ho-hum existence to a state in which you’re really ready for something new. Depending on your situation, leaping could be a mental shift: changing gears to acclimate to a new work situation, hustling to acquire the needed knowledge for your new job, or even just getting excited about pursuing an unfamiliar position. The most important thing to remember is to not allow yourself to remain imprisoned in your current role just to play it safe, especially if it’s making your miserable. There are plenty of opportunities out there; take a leap and see what you find. Reevaluate your job goals to ensure career success. Goal-setting is an essential component to long-term success, whether you want to improve your public speaking skills, ask for a raise or promotion at work, or find a new job. However, many people struggle to set the right objectives and see them through to the end. If you find yourself struggling to achieve a job goal, the goal may need to be reevaluated. Here are several types of goals the will work against your job search – and what you can do to get back on track. A clear set of job goals is the foundation of a solid job-search strategy. All your job-search efforts – from how you position your resume and online presence to how you find job leads – will depend on the goals you choose. A big obstacle to your career aspirations is a goal that’s too vague or unclear. For example, if someone asks you, “so what’s your career objective?” and your reply is simply, “I want a job” or the now familiar refrain, “I’ll take anything I can get”, you’re setting yourself up for lifelong job disappointment. Would you take a tour to somewhere without a trip itinerary? Probably not. Solution: Evaluate your work history to identify underlying skills, core values and working environment that are best for you. The more targeted your goals, the easier it will be to develop the right plan. It’s unrealistic to assume you can advance from a marketing associate to chief marketing officer in 12 months’ time. Similarly, it’s naïve to think you can transition from a product manager to an HR generalist overnight. While there’s nothing wrong with wanting to accelerate your career or make a functional change, it’s impractical to think you’ll accomplish either of these objectives in the short-term. Solution: Create a job-search strategy targeting roles that will help you acquire the skills and experience necessary to achieve these more ambitious, long-term goals. 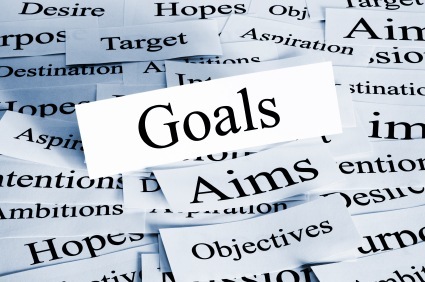 Did you know that just by writing down your goal you’re more likely to follow through with it? Once you’ve decided on your job goal, document it. If you successfully complete your goal, what would that look like? What would be the outcome? When you define success, you’re creating parameters that will help you stay on track. Solution: Post your goal near your home computer so you don’t lose focus. Many times, your career goals aren’t even your own. How often do well-meaning parents, teachers, good friends, and family members aspire for you to become this or that (sometimes, with more than just encouragement)? Regardless of their good intentions, if you find you are living out someone else’s life (e.g., being what your father had hoped to be but was prevented from becoming), then you are guaranteed to never be happy with your circumstances. Solution: Don’t let “others” derail your aspirations just to fulfill their whims and fancies. Remember that while others have a role to play in motivating you, guiding you, and helping you to succeed, their desires and aspirations should not be the sole force in determining the direction of your life, including your career. As Napoleon Hill once said, “a goal is a dream with a deadline.” Your job goals are only as effective as the plan you create to accomplish them. Solution: Break your goal into smaller, more digestible milestones. Make a list of the activities, tasks, and deadlines associated with each milestone. By dividing your goal into more manageable chunks of work, you’re less likely to get overwhelmed and discouraged. This can be the difference between giving up and remaining committed to your goal. Just as some professionals set their dreams too big and unrealistic that they will suffer continual disappointment in not achieving them, there are others who set goals that are so small that even success is a failure. If you make it your life’s ambition, with MBA in hand and $100,000 in school debt, to become a librarian, even if you succeed, the accomplishment will itself be a disappointment. Solution: Hopefully early in your career (or even while still in school), evaluate your long-term goals and ensure that you not only have realistic goals but also goals that best suit your background, that will support your desired and/or needed lifestyle, and that point forward rather than keeping you standing in place. It’s all right to dream big; don’t let mediocrity become your most frequently achieved career goal. You are currently browsing the Norwood Consulting Group blog archives for August, 2013.